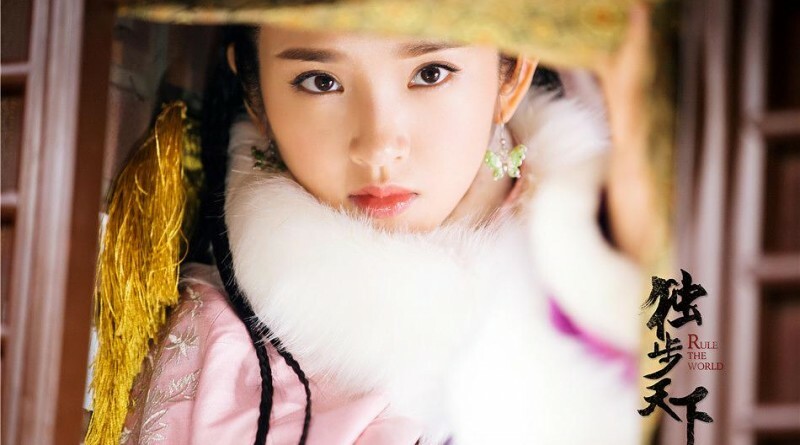 In the 3-4th episode of Rule the World Chinese Drama, Bu Yanggu lets Dong Ge marry Ha Da tribe’s leader and threatens to kill Huang Taiji. Nver Hachi takes his son to attack Ha Da tribe after Huang Taiji returns. Dong Ge visit Bu Yanggu who pretends to say hello to Huang TaiJi and sends people to get him tea, he blames Nuer Hachi that he didn’t status since he sent her to him many years ago. Dong Ge tells her brother that he treated her well as he doesn’t attack Ye He. 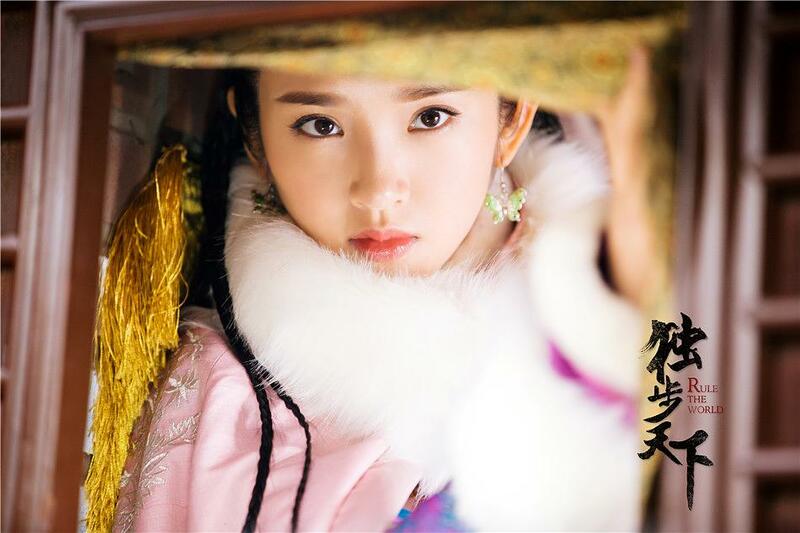 Bu Yanggu tells Dong Ge that Ye He is in trouble and needs her help and reveals the leader of Ha Er tribe Mengge Bulu is interested in her. Dong Ge knows he wants to send her to Ha Da tribe and has to agree him when Bu Yanggu threatens her with Huang Taiji. Dong Ge lets Huang Taiji leave, but he wants to take her. She persuades him to focus on the key point, he has to accepts it. Menggu Bulu breaks into Dongge’s room and wants to kiss her after Huang Taiji left. She bites Menggu Bulu’s ear and opens silk bag which Huang Taiji gave her before leaving. She seduces him and puts a pill in his mouth, threatening that it’s poison. Dong Ge lets him get marry with her before doing something. Menggu Bulu tells Bu Yanggu that he wants to get marry with his sister, Bu Yanggu is very happy and tells Dong Ge about it. But she reveals she swore that she will marry who killed Nuer Hachi, Menggu Bulu has no way but to kill Nuer Hachi. Huang Taiji avoids hunting and returns Jianzhou, telling his father that Ye He and Ha Da united and hopes his father to save Dong Ge, but Nuer Hachi only lets him take care his mother. Zhe Ying wants to destroy Ha Da with Dai Shan after knowing they kidnap Dong Ge, but Nuer Hachi has his plan. Zhe Ying contradicts his father, Dai Shan stops him when seeing the situation isn’t good. Shuer Haqi tells Nuer Hachi that Menggu Bulu wants to get marry with Dong Ge but he doesn’t get food, Nuer Hachi thinks Bu Yanggu wants to see their fight and get benefits from it, so that he must settle Ha Da. Nuer Hachi tells Dai Shan that brothers should support each other after knowing them having unbridgeable because of Dong Ge. Dai Shan lets Nuer Hachi send Zhe Ying to Hetu Ala so that he can train himself in management, and take him to attack Ha Da. Nuer Hachi agrees him. Gong Ge discusses with Ge Dai about fleeing, she lets Ge Dai prepare two clothes and flee tomorrow. Zhe Ying gets angry because he cannot go to Ha Da and is unwilling to stay. E Qike comforts him, but he thinks Dong Ge belongs to him, E Qike lets him be careful. Huang Taiji visits Nuer Hachi and asks to join the army, but Nuer Hachi thinks he doesn’t have any experience in battle. Huai Taiji thinks Dong Ge kidnapped because of him and wants to save her, Nuer Hachi is moved by him and agrees his joining. Dai Shan shows the report and map to Nuer Hachi, Nuer Hachi is pleased and thinks the movement of army is too slow, Dai Shan gets his point and notices a soldier is going to attack his father. He stops the soldier and kills him. Mengge Bulu caught Dong De when she is going to flee, Ge Dai wants to help her, but she is kicked off by him. Mengge Bulu presses her in the bed, she is fainted after hit a table. The soldier reports that Nuer Hachi breaks into the city, Mengge Bulu has to run away. Nuer Hachi and Huang Taiji fight the enemies in the city, Dai Shan caught this change and saved Dong Ge. Dong Ge finds out she is in Dai Shan’s chest after waking up. He tells she not to be scared as everything is gone. She complains that she has waited him three months and almost given up. He hugs cried Dong Ge, she bit his neck. Dai Shan looks at her with soft eyes and takes out jade ring, Dong Ge lost and nods with crying. He feelingly puts the ring in her finger and promises the day will come. Huang Taiji takes Dong Ge to see Ge Dai after she return, Ge Dai’s injury is fixed after seen by doctor. Mengge Bulu yells at Dong Ge while she visits Nuer Hachi. Nuer Hachi lets his henchman to give him and lesson, and kills him when she doesn’t want to see him anymore. Nuer Hachi is going to kill Mengge Bulu’s son Wuer Gudai, Dong Ge wants to stop, but she cannot change his mind. Huang Taiji tells Dong Ge that Ye He sent Wuer Gudai to her, Huang Taiji didn’t kill him but kept him. Dai Shan thinks Wuer Gudai doesn’t have ability to attack Jian Zhou, so that he lets his father send a princess to him. Meng Gu is critically ill, Dai Shan tells Huang Taiji about it and lets him return Jian Zhou. Dong Ge lets Dai Shan take her. Meng Gu begins to cough blood, maid tells Dong Ge that Ye He sent to visit Meng Gu isn’t her mother but a middle age male. The male tells Dong Ge that Bu Yanggu sent him to see Meng Gu die or not, Huang Taiji is out of mind and hits him with chair. Dong Ge cannot believe her brother is changed so far.